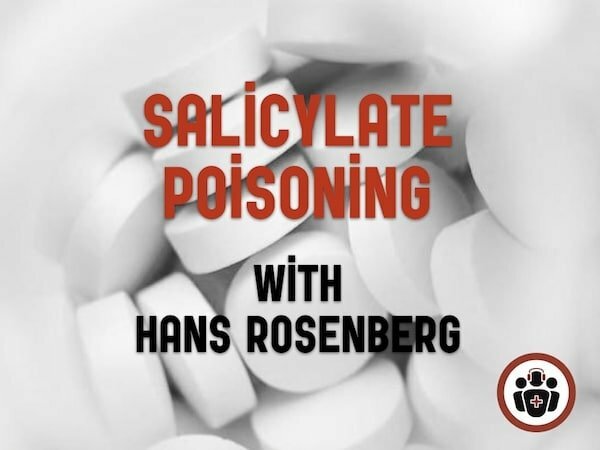 Salicylate poisoning diagnostic clues: It’s easy to miss! Clues on presentation. Salicylate poisoning is easy to miss because early in the illness course it can present in a fairly benign manner. Without a clear history of ingestion, salicylate poisoning may be initially misdiagnosed as pneumonia, sepsis or DKA because of the overlapping features. While the seldom seen classic triad is hyperventilation, tinnitus and GI upset, salicylate poisoning clinical features also include nausea, vomiting, abdominal pain, deafness, flushed skin, sweating, hyperthermia, altered level of awareness, pulmonary edema and cardiovascular instability. Often the key clue is an elevated respiratory rate without an obvious primary respiratory cause and a normal oxygen saturation; a result of the patient’s effort to blow off CO2. 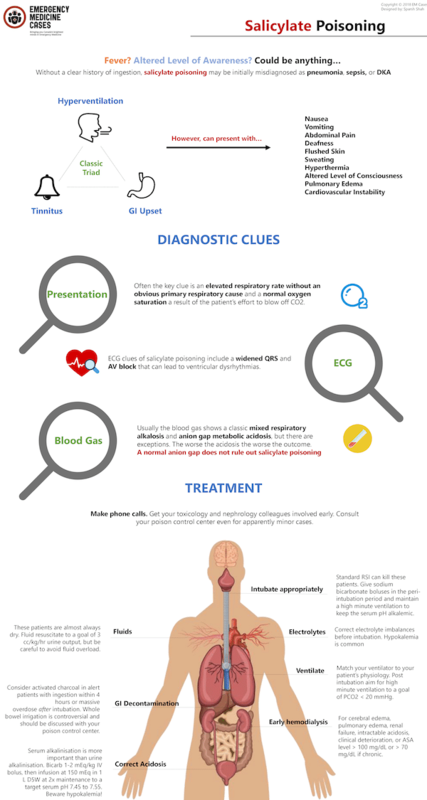 ECG clues. ECG clues of salicylate poisoning include a widened QRS and AV block that can lead to ventricular dysrhythmias. The blood gas isn’t always the classic mixed respiratory and anion gap metabolic acidosis. In high anion gap metabolic acidosis, the change in the anion gap should approximate the change in serum bicarbonate. Absence of this relationship should prompt consideration of a mixed metabolic acid-base disorder. Usually the blood gas shows a classic mixed respiratory alkalosis and anion gap metabolic acidosis, but there are exceptions. VBGs are adequate – you don’t need an ABG. The worse the acidosis the worse the outcome. Use the GOLDMARK mnemonic for anion gap metabolic acidosis differential diagnosis. Salicylate levels may be low or undetectable. Chronic salicylate toxicity can occur at much lower levels than acute toxicity. Do not rely entirely on serum levels to make treatment decisions. Levels may be undetectable early after ingestion. Make phone calls. 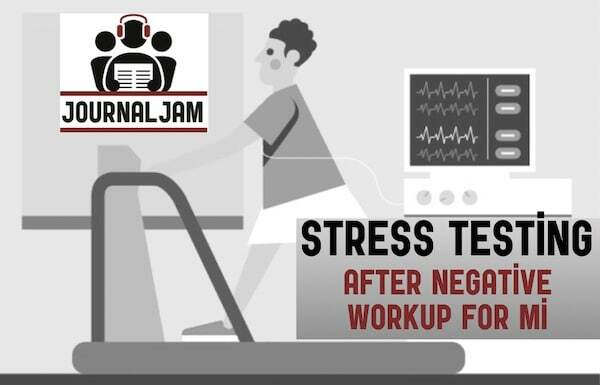 Get your toxicology and nephrology colleagues involved early. Consult your poison control center even for apparently minor cases. Fluid resuscitate. These patients are almost always dry. Fluid resuscitate to a goal of 3 cc/kg/hr urine output, but be careful to avoid fluid overload. GI decontamination. Consider activated charcoal in alert patients with ingestion within 4 hours or massive overdose after intubation. Whole bowel irrigation is controversial and should be discussed with your poison control center. Correct electrolyte imbalances before intubation. Hypokalemia is common. Standard RSI can kill these patients. Give sodium bicarbonate boluses in the peri-intubation period and maintain a high minute ventilation by increasing tidal volume and/or respiratory rate to keep the serum pH alkalemic. Match your ventilator to your patient’s physiology. Post intubation aim for high minute ventilation to a goal of PCO2 < 20 mmHg. Serum alkalinization is more important than urine alkalinization. Bicarb 1-2 mEq/kg IV bolus, then infusion at 150 mEq in 1 L D5W at 2x maintenance to a target serum pH 7.45 to 7.55. Beware hypokalemia! Early hemodialysis for cerebral edema, pulmonary edema, renal failure, intractable acidosis, clinical deterioration, or ASA level > 100 mg/dL or > 70 mg/dL if chronic. A delay to dialysis is the most common pitfall resulting in poor outcomes in salicylate poisoning. Once you’ve stabilized your patient it is important to monitor acid/base status, salicylate levels, glucose and electrolytes. Avoid acidemia. Draw serial salicylate levels and VBGs q2hrs. Look out for hypokalemia, hypernatremia and hypo/hyperglycemia and treat aggressively. O’malley GF. Emergency department management of the salicylate-poisoned patient. Emerg Med Clin North Am. 2007;25(2):333-46. Levitan R, Lovecchio F. Salicylates. In: Tintinalli JE, Stapczynski J, Ma O, Yealy DM, Meckler GD, Cline DM. eds. Tintinalli’s Emergency Medicine: A Comprehensive Study Guide, 8e. New York, NY: McGraw-Hill; 2016. Lugassy DM. Salicylates. In: Hoffman RS, Howland M, Lewin NA, Nelson LS, Goldfrank LR. Eds. Goldfrank’s Toxicologic Emergencies, 10e.New York, NY: McGraw-Hill; 2015. Chyka PA, et al. Salicylate poisoning: an evidence-based consensus guideline for out-of-hospital management. Clin Toxicol (Phila). 2007;45(2):95-131. Juurlink DN, Gosselin S, Kielstein JT, et al. Extracorporeal Treatment for Salicylate Poisoning: Systematic Review and Recommendations From the EXTRIP Workgroup. Ann Emerg Med 2015; 66:165. Mccabe DJ, Lu JJ. The association of hemodialysis and survival in intubated salicylate-poisoned patients. Am J Emerg Med. 2017;35(6):899-903. Bora K, Aaron C. Pitfalls in salicylate toxicity. Am J Emerg Med 2010 Mar;28(3):383-4. Hate to say it but I’m concerned that this patient died from iatrogenic underventilation. They had compensated metabolic acidosis, but once intubated their CO2 went through the roof, causing a profound drop in pH. They needed a higher minute ventilation to maintain their compensation for their metabolic acidosis. Very tricky to intubate these patients for this reason. No doubt that this was a very difficult and frustrating case for everyone taking care of the patient because of the delayed diagnosis and unfortunate outcome. We talked at length in this episode about the importance of both the airway strategy and vent settings as they are two of the most important learning points from this case and the very reason why we chose to share it in the first place! If you look through both the summary posted on the blog post and also the linked case report, the emphasis in both is also heavy on the airway/ventilation strategies.